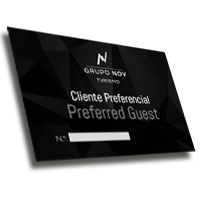 Grupo Nov Turismo places at your disposal five hotel units with three and four stars. We offer you diversified experiences depending on the destination you prefer and the type of hotel you choose. Providing accommodation services, catering and other high quality tourism, in order to best satisfy our customers. Provide professional development opportunities, looking after the employees, partners and shareholders in order to assure that they feel motivated and fairly rewarded.